The world famous Harlem Globetrotters are bringing a slice of home to U.S. troops based overseas with an extended holiday tour of international U.S. military bases – the 15th time in the past 13 years that the “Ambassadors of Goodwill” have entertained U.S. troops overseas. Made possible by Navy Entertainment and Armed Forces Entertainment, the 17-game tour, beginning this week, will feature shows on U.S. military bases in Europe; including stops in the United Kingdom, Belgium, the Netherlands, Germany, Italy and Spain. Globetrotter military tours have visited over 50 U.S. military bases in Afghanistan, Bahrain, Belgium, Cuba, Djibouti, Germany, Greece, Guam, Italy, Iraq, Japan, Kuwait, the Netherlands, Portugal, Qatar, South Korea, Spain, Turkey, the United Arab Emirates and the United Kingdom. 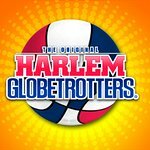 The Harlem Globetrotters are legendary worldwide, synonymous with one-of-a-kind family entertainment and great basketball skills for the past 90 years. Throughout their history, the Original Harlem Globetrotters have showcased their iconic talents in 122 countries and territories on six continents, often breaking down cultural and societal barriers while providing fans with their first-ever basketball experience. Proud inductees of the Naismith Memorial Basketball Hall of Fame, the Globetrotters have entertained hundreds of millions of fans – among them popes, kings, queens, and presidents – over nine thrilling decades. Sponsored by Baden Sports, Harlem Globetrotters International, Inc. is a wholly-owned subsidiary of Herschend Enterprises, the largest family-owned themed entertainment company in the U.S. For the latest news and information about the Harlem Globetrotters, visit the Globetrotters’ official Web site: www.harlemglobetrotters.com and follow them on Twitter.